Second Coming Visible. 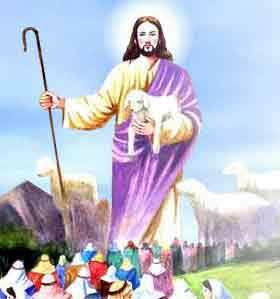 The Lamb of God's coming will be seen by every living person who is alive at the time of His return. "Behold, he cometh with clouds; and every eye shall see him." Revelation 1:7. "For as the lightning cometh out of the east, and shineth even unto the west; so shall also the coming of the Son of man be." Matthew 24:27. "And then shall appear the sign of the Son of man in heaven: and then shall all the tribes of the earth mourn, and they shall see the Son of man coming in the clouds of heaven with power and great glory." Matthew 24:30. The coming of the Lamb of God will indeed be an eventful occasion. Every eyes on earth will see the Lamb coming in the clouds. It will be visible across the entire world.